On June 12, 2016 I wasn’t at my home in Florida – I was abroad in Paris, France preparing for another day of photographing the city. It wasn’t until that afternoon that I heard the news of a horrific terrorist attack on the LGBT community at an Orlando nightclub. I was in shock and devastated to learn of this senseless act of violence so close to my home. I became distracted and my photography took a back seat. Parisians were incredibly understanding, kind, and a form of kinship developed that night and in to the next day as the city began to mourn. 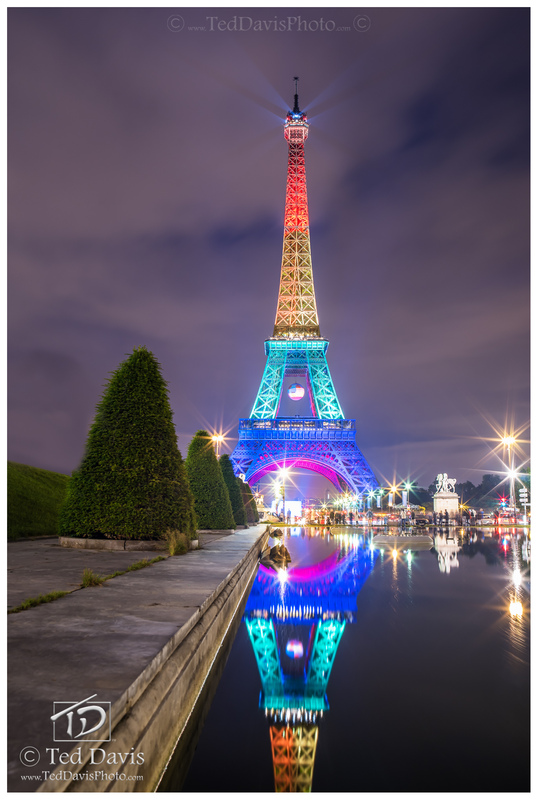 On June 13 the Eiffel Tower was lit in Pride colors. The message was clear: “Paris stands with Orlando”. Photo © copyright by Ted Davis.